One of the most outstanding qualities of San Sebastian is that, whatever the time of year, you will always find something interesting to do. In our city every month offers a new opportunity to enjoy the culture, gastronomy, leisure and many more. For San Sebastian in November we propose two suggestions that you cannot miss if you have planned to visit Donostia this month. Thus, during your stay at our hotel, we offer you the possibility to have a greater insight into the city from two different perspectives. Autumn is the season in which San Sebastian becomes the capital of athletics. But, in addition, Literaktum Festival also arrives at this time of year. 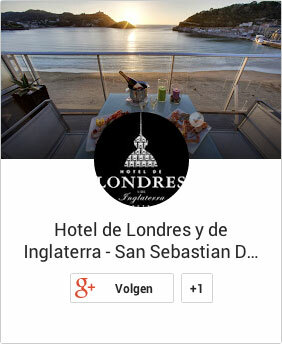 Take advantage when you are staying at our hotel in San Sebastian. Keep on reading and we’ll tell you more! This year will be the 40th edition of the San Sebastian marathon, a must-see event for all athletics enthusiasts. As on previous occasions, those interested can choose between different runs: Marathon (42 km), Half Marathon (21 km) and 10 km Marathon. In this way, everyone can participate in this multitudinous event, regardless of their physical form. The marathon will take place on November 26 and will have as its starting point and finish line the Anoeta mini-stadium. If you foresee that you will be around the city on this date, do not forget to put some running shoes in your suitcase! Without a doubt, this event will give you a totally different perspective on San Sebastián. You can find more information on the official website. The Literaktum Festival changes this year’s spring through autumn and will take place from November 14th till 25th. The 2017 edition will present a renewed image, but will continue to offer endless opportunities for literature lovers. There will be debates about current and philosophical issues, exhibitions, conferences by acclaimed writers and even activities for children. Among the invited authors are Almudena Grandes, Rosa Montero, Uxue Alberdi, Eider Rodríguez or Belén Gopegui. The main themes of this year’s Likteraktum Festival edition will be the relationship between the novel and history, the utopia and the illustrated book. Likewise, there will also be room for collaborations between literature and other disciplines such as journalism, gastronomy, comics, cinema, music, etc. Whether or not you eat books for breakfast, you are sure to find something interesting in this event. You can get more information on their website. I hope you enjoy an unforgettable stay at our hotel in San Sebastian Spain! Do not hesitate to contact our staff if you require any information.